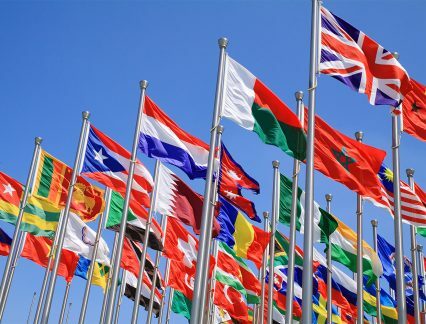 A new scheme, the Commonwealth small states trade finance facility, will provide up to US$100mn of incremental trade finance over a three-year period to any of the 31 Commonwealth nations classified as small states. The concept is based on a “highly innovative” use of blended finance that seeks to achieve maximum impact with minimal levels of official assistance, reads a release from the Commonwealth Secretariat. The scheme includes an underlying risk participation agreement: the Commonwealth Secretariat will guarantee 10% on any loans secured under the facility. It is hoped that this risk cover will encourage international banks to offer higher trade finance lines to financial institutions in the small states by reducing their credit risk. GTR understands that the US$100mn amount is based on estimations and projections over the three-year period. Two banks – Standard Chartered and Bank of Baroda – will act as the facility managers and manage the underlying trade transactions on a portfolio basis. “We will support trade finance flows in these countries through the issuing banks in the region by providing letter of credit (LC) confirmations, LC financing and discounting,” a Standard Chartered spokesperson tells GTR. India, Sri Lanka, Mauritius and Malta have provided US$5mn of capital to the scheme, which will be hosted and administered by Malta. The scheme was launched at the Commonwealth heads of government meeting in London this week and pilot countries include the Bahamas, Botswana, Brunei, Dominican Republic, Fiji, Mauritius, Namibia and the Seychelles. It is hoped that the initiative will facilitate increased flows of trade and investment to these Commonwealth countries, which, because of the absence of domestic export credit agencies, the reluctance of financial institutions to lend money and volatile global economic conditions, are often unable to access the funds that they need. The scheme has been five years in the making and involves the International Finance Corporation, the Maltese government and central bank, the Export-Import Bank of India and the Commonwealth Secretariat. “This new scheme shows how an innovative and collaborative approach between many Commonwealth members can tangibly impact the lives of people in our smaller, less well-off states, for the common good,” says Commonwealth secretary-general Patricia Scotland.